Are you having a hot date on Valentines day? Then you need to shine ‘head to toe’! And we can help you, as with a purchase of €80 at COSMANIA.nl you will receive with the voucher code: 'DatePrep' a Date-Prep-Kit worth €30 for free! SOLD OUT! Click here to find out which other nice beauty products you can use for Valentine's Day! 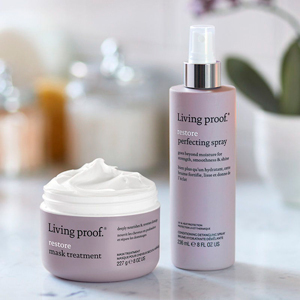 Endless love for the Living Proof hair products and a perfect hair day guaranteed every day! Forever yours with tempting lips! Spoil them with this sweet lightweight lip moisturizer from Viliv. All you need this Valentine is your femininity, your charm and your beauty. 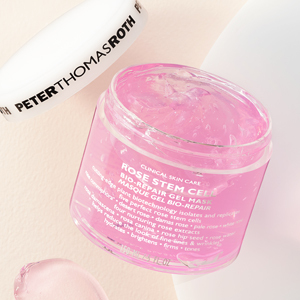 That’s why you want to give your skin a youthful, radiant and silky soft look with this rose mask, full of rose extracts. Use your legs for temptation and give them a healthy tan with the Perfect Legs Skin Miracle!